Moscow is interested in building a joint missile defense system with the US and Europe, but continues to develop its own program. 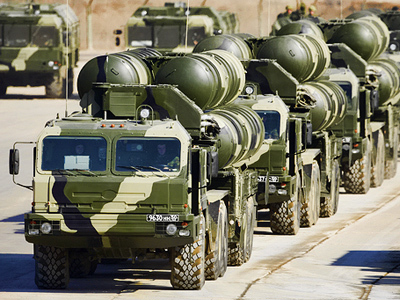 ­Russia is developing new warheads for intercontinental ballistic missiles. Yury Solomonov, the general designer at the Moscow Institute of Thermal Technology, who announced the news on Thursday, said they would be able to overcome any existing and future missile defense systems. The development of new warheads looks like Russia’s answer to plans of the US and NATO to create a new missile defense shield for Europe. Both Washington and the alliance had formally invited Moscow to take part in a joint program. But even Europeans themselves do not know the exact details of the initiative. 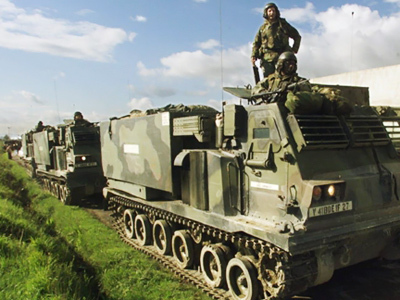 NATO member states are still to come to an agreement between themselves. The Russian leadership has made it clear that Moscow will only take part in the program as an equal partner. At the same time, President Dmitry Medvedev has repeatedly said that Russia is interested in working with the US and European countries to build the joint missile shield developed on the sector principle. Medvedev confirmed this stance on Wednesday, while addressing to participants of the economic forum in Davos. Both the president and Prime Minister Vladimir Putin, however, had warned that a new arms race is possible if Russia and Western countries have not agreed on a joint missile defense plan. 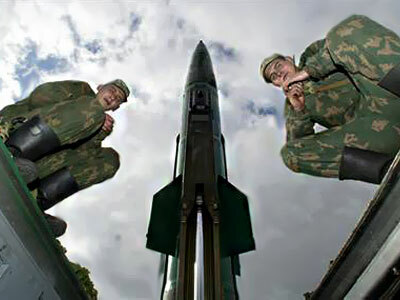 Solomonov echoed the warning, saying that to maintain the potential of strategic nuclear forces Russia must radically increase the production of intercontinental ballistic missiles. He also said that sea-based intercontinental ballistic missile Bulava will be commissioned and passed into service in 2011 if the planned test launches are successful. Meanwhile, Russian diplomats and military leadership are studying unclear prospects of the co-operation with the US and NATO in the missile defense field. Chief of General Staff Nikolay Makarov said on Wednesday that Russia’s permanent involvement in designing the architecture of the European missile defense system should be the main precondition for NATO-Russia co-operation. Further, the collaboration in this area should be mutually beneficial, with both sides clearly understanding the end result. Russian Deputy Foreign Minister Aleksandr Grushko stressed that a joint Russia-NATO missile defense shield should rule out the possibility that it could be used against Russia or the alliance. Moscow presumes that the work will be based on equal footing. Neither NATO nor the US has answered Russia’s questions so far. The would-be shield is even called differently by both sides. While the Russian leadership describes it as “European missile defense system,” it is referred to as “NATO’s missile defense system” in the alliance’s official documents. Moscow will not participate in any joint program where it does not have its say. The big fear is that the European shield will be directed by the US, which does not abandon the idea of its own global missile defense shield.